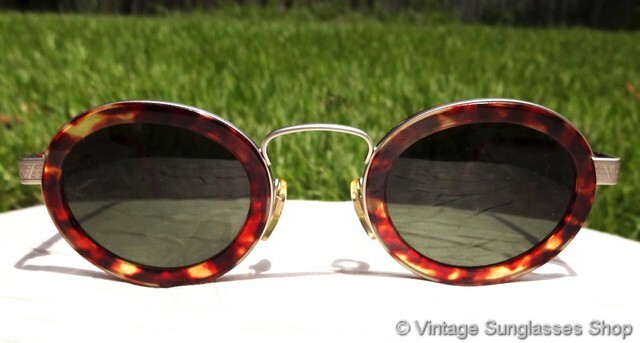 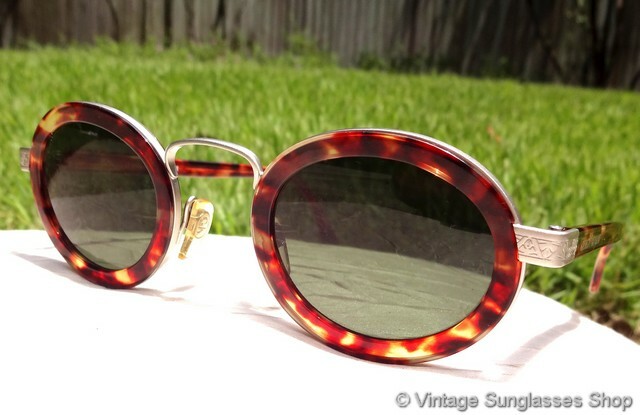 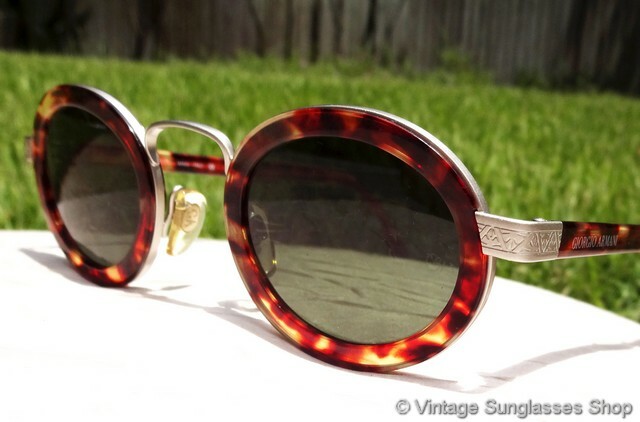 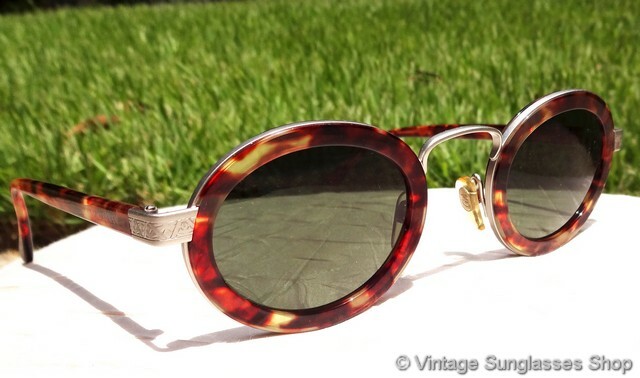 1 Vintage Giorgio Armani 631 891 sunglasses are striking combination of etched silver and wide Italian tortoise shell. 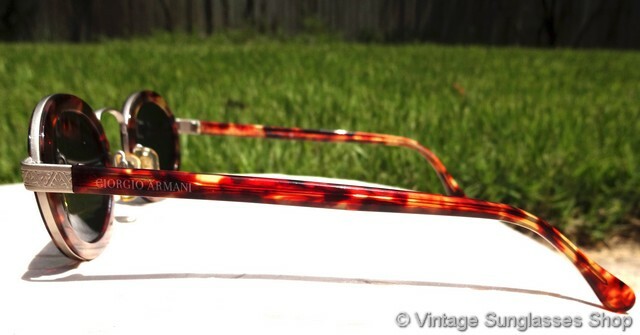 Vintage Armani 631 sunglasses are one of Giorgio Armani's most stylish and distinctive designs, a rich orange tortoise shell frame contrasted with silver that wraps each lens and forms the nose bridge and each of the etched metal hinges. 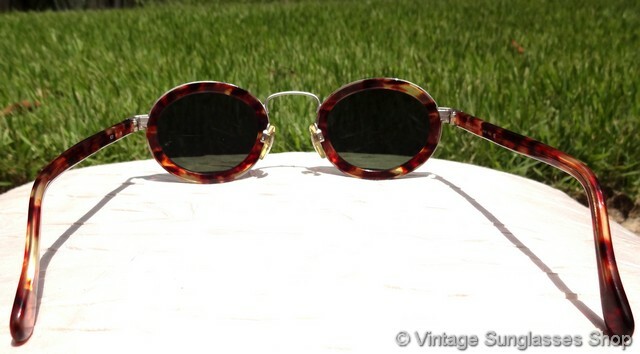 The width of the tortoise shell around the lens is quite wide, a unique Armani design that immediately captures attention. 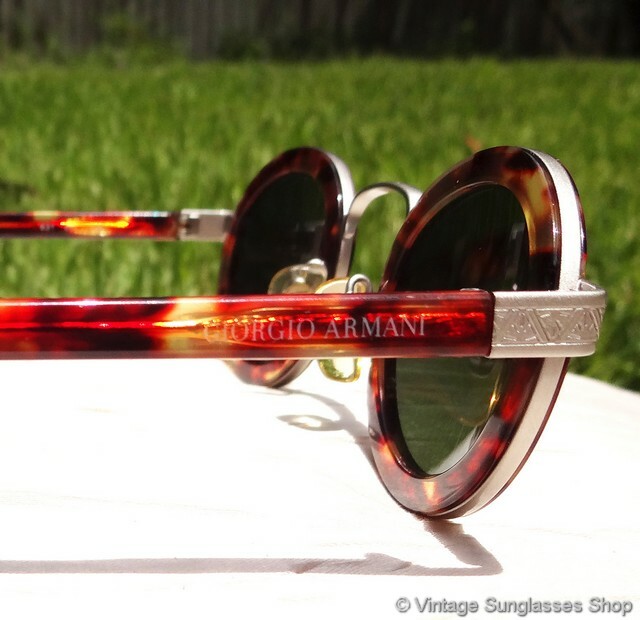 The subtle etching of the antique silver hinges is a nice added feature that draws the eye to the Giorgio Armani logo embossed on each ear stem near the hinge points. 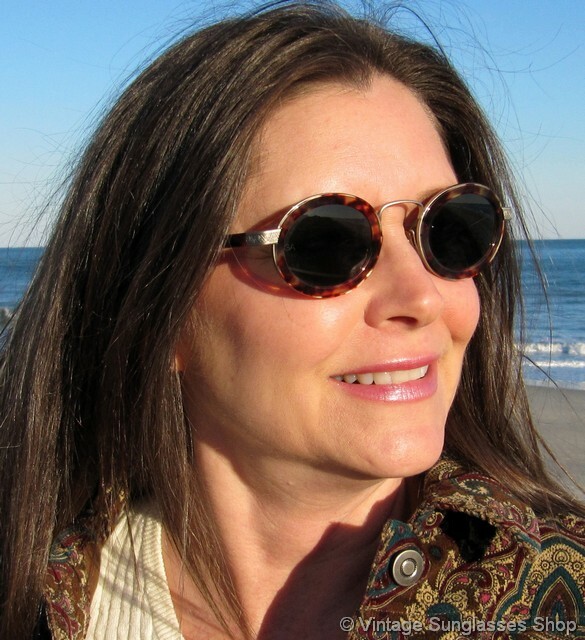 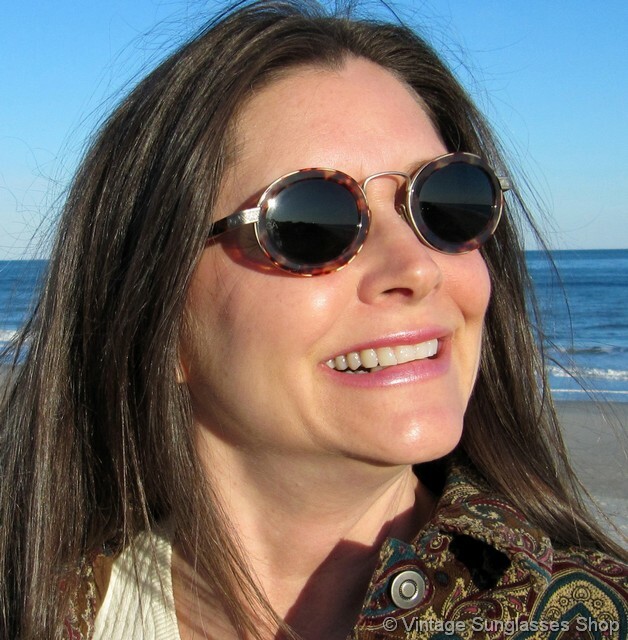 The oval lenses measure approximately 1.75" x 1.5" at the widest points and both are laser etched GA near the hinges, and the unisex frame measures approximately 5.25" temple to temple. 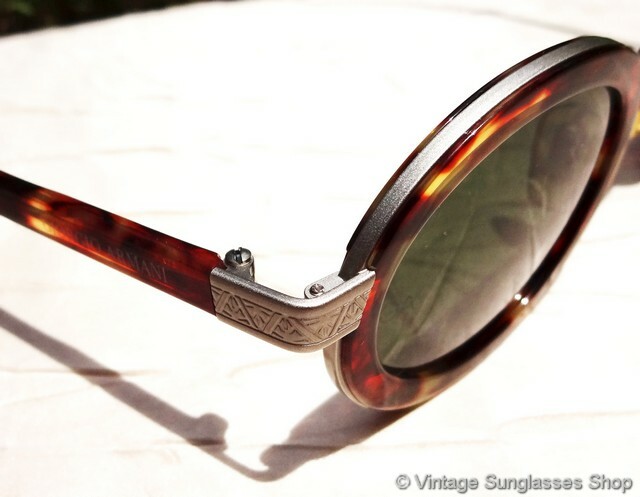 The inside of one ear stem is marked Giorgio Armani Made in Italy CE while the other is marked 631 891 135, part of a great collection of vintage Armani sunglasses owned by a well known movie industry figure and customer of the Vintage Sunglasses Shop. 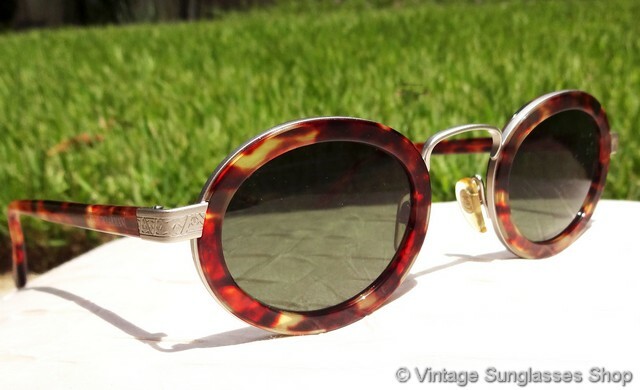 2 Step up another level beyond our already unequaled vintage condition standards with new old stock Giorgio Armani 631 891 sunglasses in mint, unworn condition. 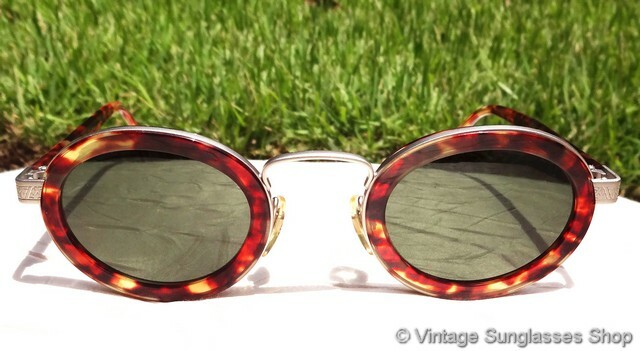 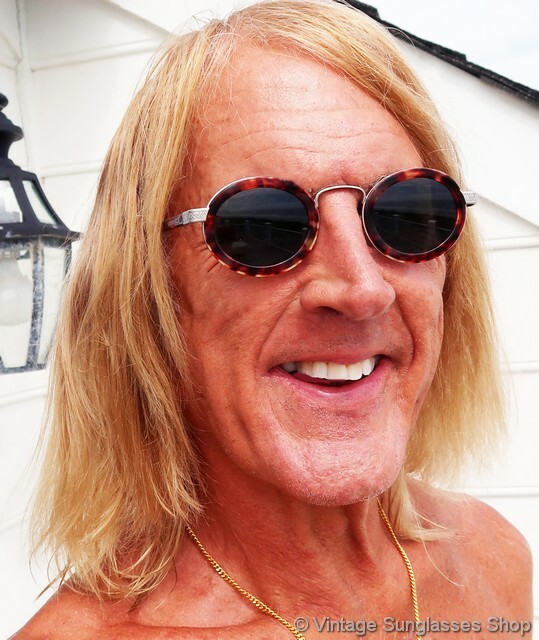 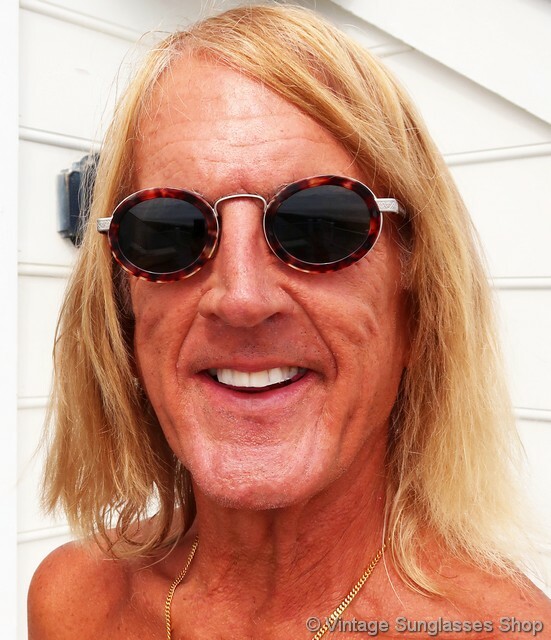 See our entire selection of vintage Giorgio Armani 631 sunglasses and when in stock you can find a set of original new old stock Armani brown mineral glass lenses here that will fit any Armani 631 sunglasses frame.